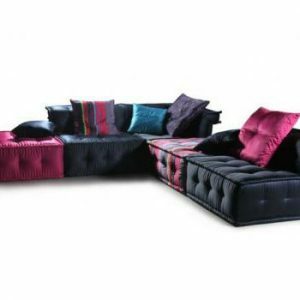 Relax in regal comfort with this stunning navy velvet Serpentine three-piece sectional sofa. 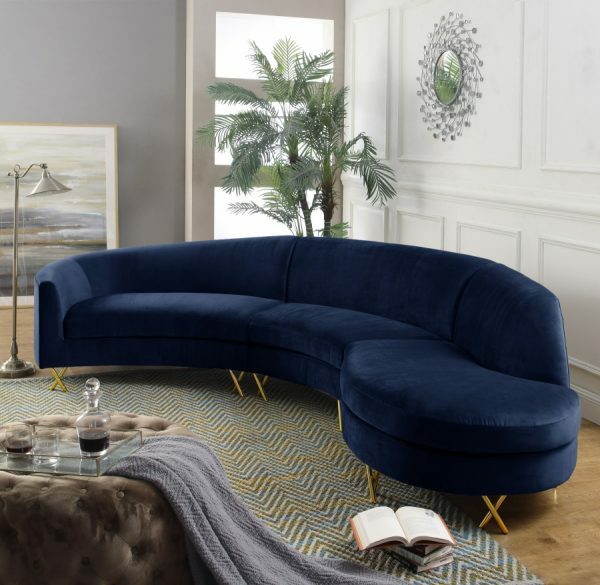 Plush navy velvet upholstery provides a soft, cozy place for you to rest after a long day, and gold steel legs add just the barest touch of color to the sectional’s chic design. 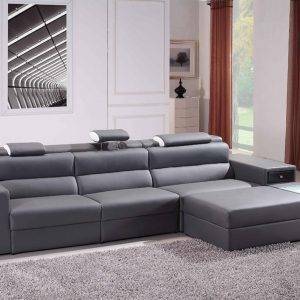 Its lengthy design offers ample room for you to kick back and relax, either on your own after a long, hard day, or with your loved ones during family movie night.